We are very happy to announce our first Gadget Giveaway (i.e Logitech C310 HD Webcam), the contest is pretty simple and easy to participate. 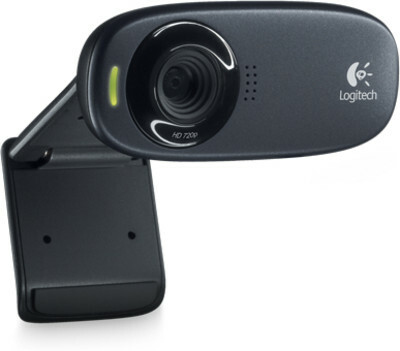 Logitech C310 HD Webcam is equipped with Logitech RightLight 2 technology, Magix photo and video editing, 1-click Facebook and YouTube HD-upload (registration required) and Logitech Video Effects Fun Filters. These built-in features enhances video chatting and video recording to provide the sharpest images and sound possible. It comes with an inbuilt microphone with high sensitivity which can pick up voice from a good 3 to 4 feet and also reduces disturbance. If you live outside the U.S. you will receive $30 USD cash value of the Logitech C310 HD Webcam instead of the actual prize via Paypal. This allows us to make sure that International readers can enter the Giveaway. Update: Winner is selected, If he/She doesn’t reply by 31st May then another winner would be selected..!! Great give away dude…….. Thanks for it……..I’ve completed my entry. Need a webcam for my old desktop computer. I would like to see a tablet or smart phone! I would love to win this! Another great giveaway would be just about any tablet! I need this Web Cam and I hope to win!!! Great contest! Any giveaway is a good giveaway! Thanks! galaxy note pls 🙂 more power! Surface Rt or PRO! or a Lumia phone! Done all the steps hope to win and wanna see a gaming keyboard as a next giveaway. I would like to see an IPhone or a Tablet next time as a giveaway! would love to see more than one winner & a COMPUTER! I would like to see Cash as the next prize. I would like to see either a cool smartphone (like the Lumia 920, HTC X, Razr i, Blackberry Z10/Q10 etc), an ultrabook (like the Asus Taichi/Zenbook/Vivobook, Lenovo Yoga/Carbon), Tablet (like the Nexus*, Galaxy Tab*, iPad etc) or perhaps even Tablet Hybrids (like the Transformer or Surface Pro) for the next giveaway. I’d definitely love to see a tablet! I would like to see a smart phone or an ultrabook. I would like to see a laptop as the next prize!